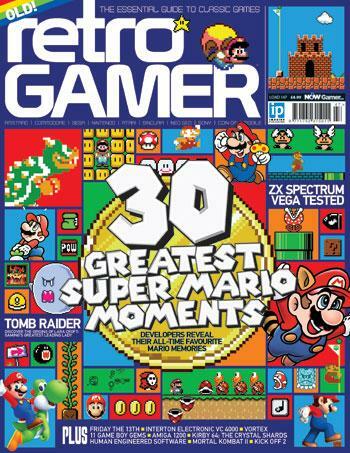 Issue 147 of Retro Gamer is on sale today, and we’re going all-out to celebrate the 30th anniversary of Super Mario Bros with an absolutely enormous feature on the best Mario moments of all time. The Retro Gamer team shares 30 amazing moments from the all of the portly plumber’s platform adventures, from his NES debut to modern masterpieces like Super Mario 3D Land. But that’s not all, as leading developers including Keiji Inafune, John Romero and Archer MacLean have shared their own favourite moments, as well as readers. But if Mario’s a bit too family-friendly for the upcoming Halloween fright-fest, we’ve got you covered. The History Of Splatterhouse and The Making Of Friday The 13th are ready to strike fear into the hearts of even the hardiest gamer, and if you haven’t had enough after reading those, the Ultimate Guide To Mortal Kombat II pushed the blood and guts quotient to the limit. The magazine is available now for £4.99 at all good newsagents, and you can also purchase it physically via imagineshop.co.uk and digitally at greatdigitalmags.com. Look out for the customary preview video soon!